It’s a feel good thing! – Being a shelter volunteer helps contribute to the solution. Most of the animals that come through our doors are strays and our amazing volunteers who work with them on a semi-regular basis allows our pets to learn trust and open up. After spending time with the animals, whether it’s taking them for a walk, giving them a bath, or just showing them some love, their personalities come out and they can start to shine! We need you! – We have a constant intake of animals and each needs love and care. We will always have a dog to walk, a cat to groom or some animal to give your love to. You will never feel like you aren’t helping in some way. It is scientifically proven that spending time with animals helps lower your stress levels and blood pressure. – Being a volunteer can keep you active and feel good emotionally, physically, and mentally! Volunteering is a great way to try out something new or grow within your career. – You can gain many professional and life experiences right here at the Humane Society of Sheboygan County. Develop new skills, build upon your own strengths, and help build your resume! For teens or young adults, it’s the perfect place to learn responsibility and time management. Feel involved in your community. 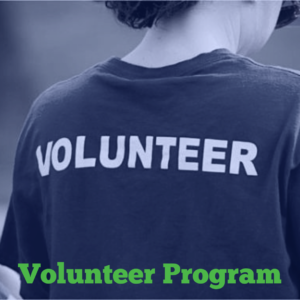 – Volunteering encourages civic responsibility and gives you a chance to give back to your community. If you are interested in becoming a Humane Society of Sheboygan County Volunteer, learn more and apply here!